The kids have their trick-or-treating and stock piles of Halloween candy, but adults are somewhat left in the dark on Halloween. If plastic skeletons and ghosts aren't your things, throw a classier Halloween party for yourself and all your friends with these spooky fun ideas. 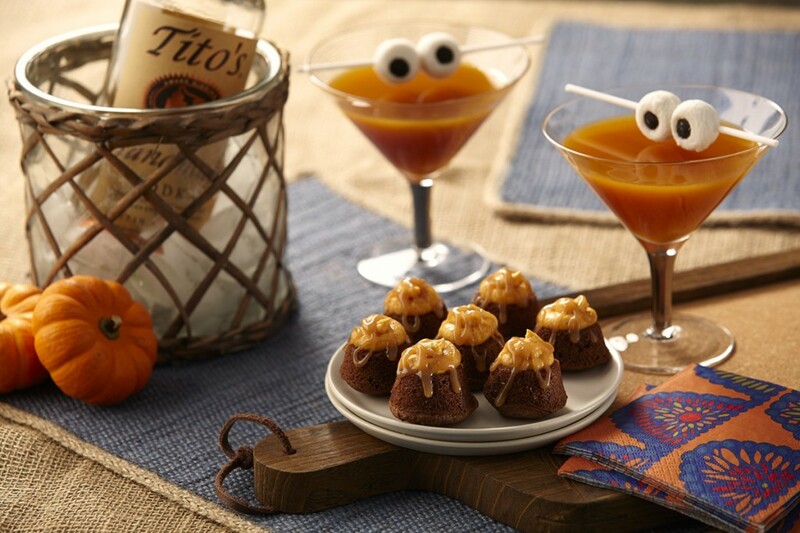 With a twist on a classic garnish, these delicious pumpkin martinis transform into lively libations. Make these ahead or set the skewers out in a cup for easy assembly as your guests arrive at the bar. You can even swap out the flavors and colors if you like certain drink recipes better. Make eyes out of stuffed green olives and squeeze a few drops of food coloring into a vodka martini for a more savory rendition. 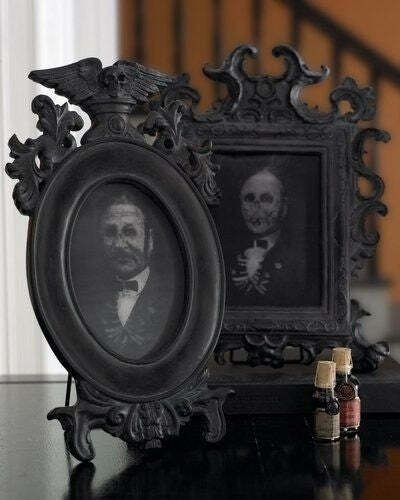 These particular images are a great example of what you can do to your household picture frames on All Hallow's Eve. If you don't want to wreck photos, simply layer some black lace over the top for an aged and creepy feel. Or, swap them out for photos you print off of the internet. Even trading gilded frames for black matte ones will add an element of frightening good taste to your evening. 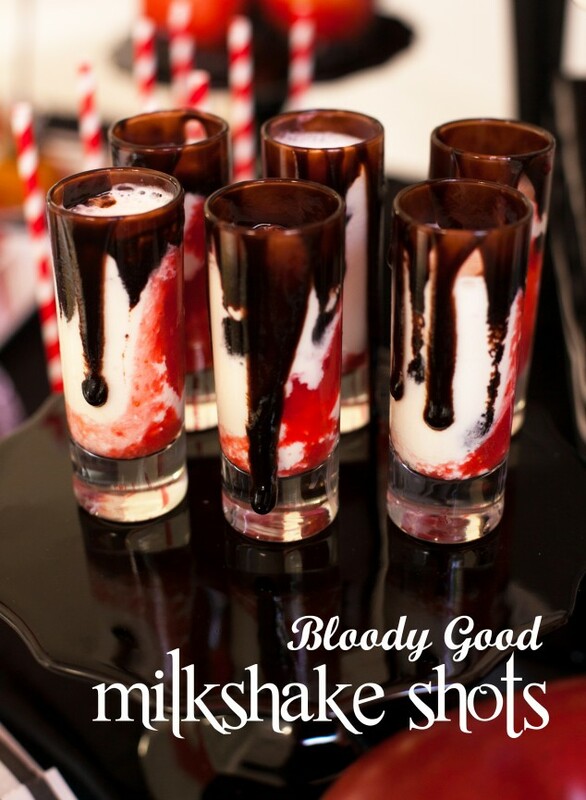 These are incredibly delicious milkshakes with a frightening makeover. Pour them into martini glasses if you prefer to sip or keep in double shot glasses if you prefer a quicker guzzle. The existing recipe doesn't call for any alcohol, but if you'd like to make them an adult beverage, try chocolate liqueur or vanilla vodka. It'll feel like a night at a spooky ice cream shop when you make these dreadfully delicious drinks. Red velvet has never looked so sinister. This classy and delicious cake takes on a spooky feel with just a few creepy techniques. 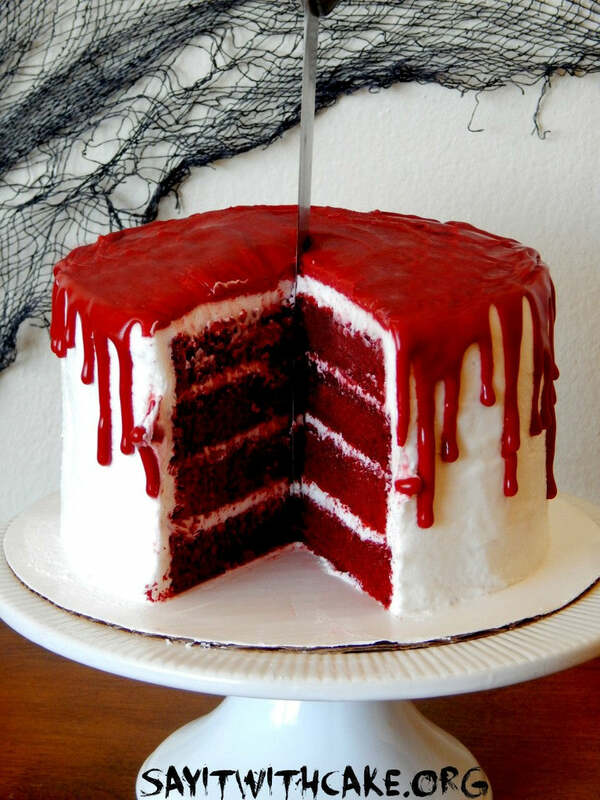 Leave a sharp knife in the top for added effect, drizzle red frosting down the pristine white sides, and cut a sliver out before your guests arrive so they can see the blood red interior. It's refined and terrifying all at the same time. You could also add some red candy as garnish to up the ante. These swirly pops are the perfect party favor for your Halloween bash. Wrap the sticks in black ribbon and make custom labels with whatever haunting message you like most. Then, set them out in a mug, cauldron, witch's hat, or poke holes in a pumpkin to make a bouquet. 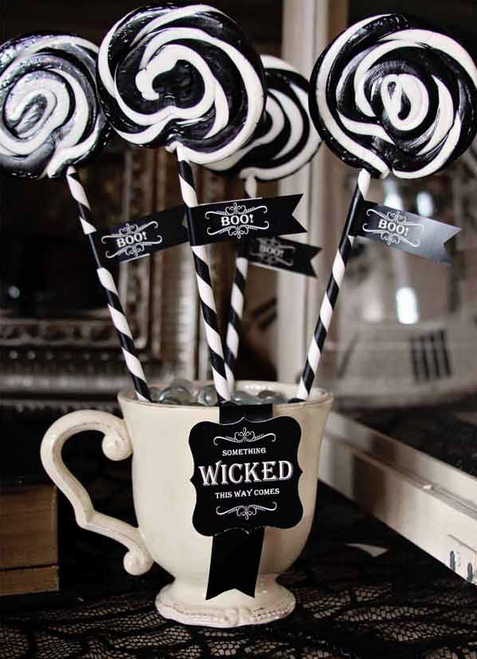 These black and white pops will set the mood and give your guests something to enjoy on the way home. Check out different kinds of black candy here. Even if you're not big into dressing up, you can inject a little more Halloween fun into your outfit while remaining sophisticated. 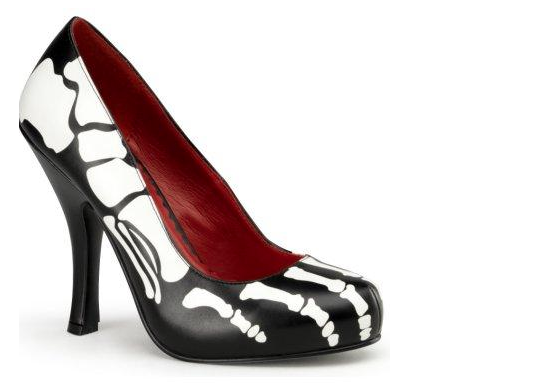 These skeleton pumps go with anything since they're black and white and would look great with a little black dress or jeans. Order yourself some of these high heels or cut out white tape to stick to your own black heels. It all depends on how crafty and motivated you are to be best dressed at your Halloween party. You can add an element of Halloween to your bar too with this pumpkin cooler. The tricky part is finding a pumpkin that allows you to slip one of your bowls into the hollowed out center. However, they're waterproof because of their outer skin, so you can skip this step and just add some ice directly into the pumpkin if you'd like. Then, stuff it with whatever refreshments you want to sip on all night long and enjoy your guest's reactions to your ingenuity. 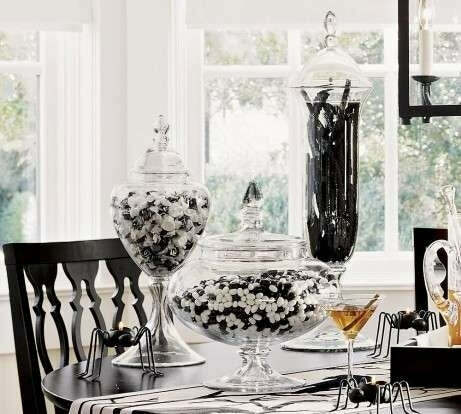 Black and white candy in clear glass jars will automatically add a level of Halloween sophistication to your party. What you stuff these jars with is totally up to you, but they'd be great for a desert table, party favors, or even appetizers. We particularly like the black and white candy idea so you can integrate a little adult trick-or-treating into your party, but the choice is up to you! Colored bulk candy like Black Tie Jordan Almonds would work well here. As well as classy gummy penguins wearing their tuxedos. Not only will you spare yourself a big mess of pumpkin guts, but by painting your seasonal gourds, you'll also get a much more mature look. Try herringbone, chevron, a diamond pattern, or simple stripes or polka dots. Just try to stick to black, white, and orange to keep the spirit of Halloween alive at your party. 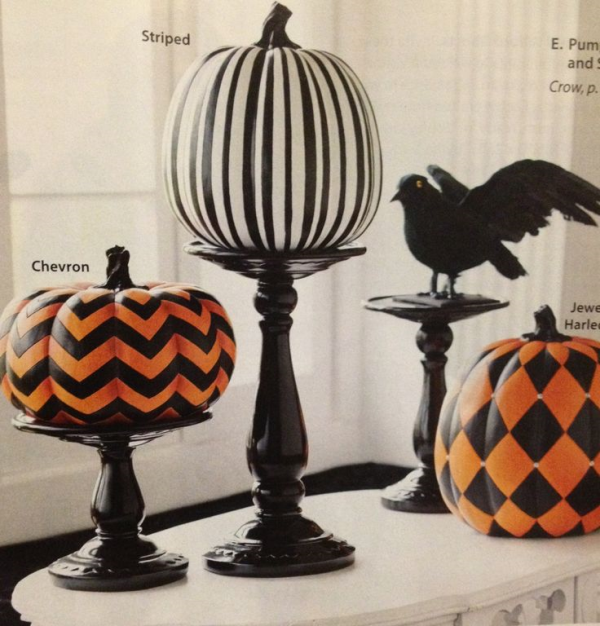 Little pumpkins take on a much trendier style with a little bit of white and black paint. Use spray paint for quick coverage or whip out a paint brush for an afternoon of painting. Then, either use a stencil for the lettering or your own artistic hand. 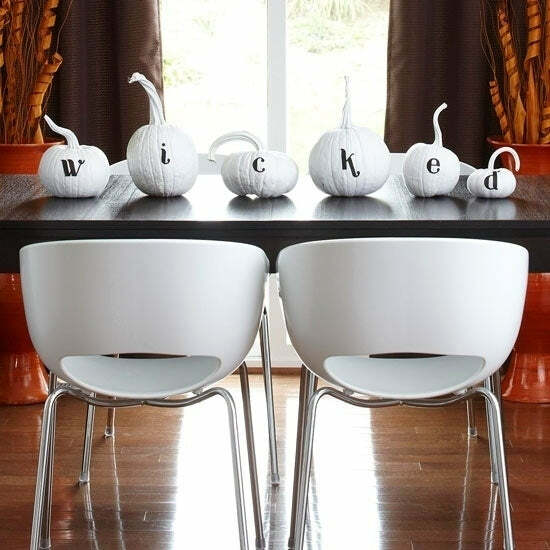 You can spell out "wicked" or try words like "boo" and "Happy Halloween." 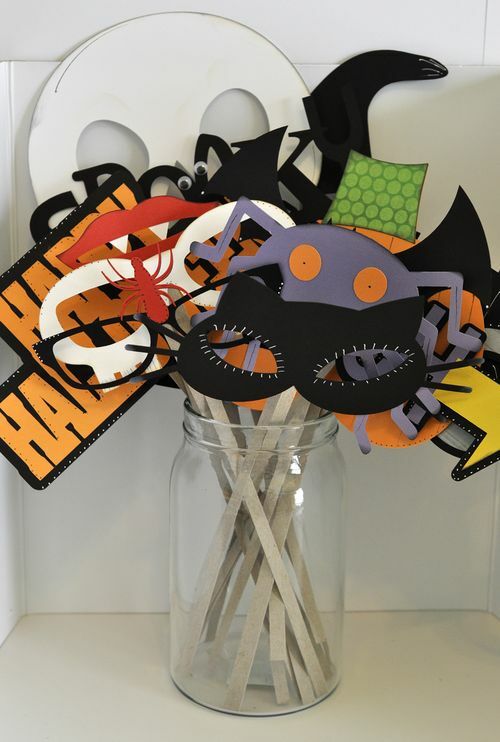 This decorative idea will add class and chicness to your adult Halloween party. This idea can be copied and used for any punch recipe you want. The only thing you'll need to do is buy a rubber glove, fill it with water, and freeze it. Then, once it's solid cut the rubber away and you'll have a zombie hand that will chill both literally and figuratively. You don't always need to opt for monsters on Halloween. 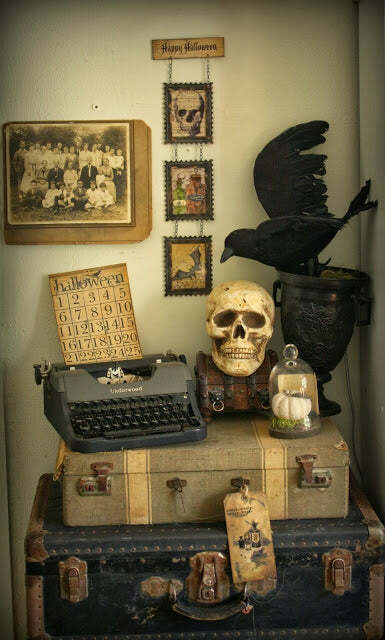 Instead, why not set up a scene that possesses a creepy vintage vibe? Using a skull, crow, and sepia toned maps and photos, you can attain a refined and eerie look. Just see what's in your attic or at the dollar store and get creative with your Halloween scene. Just because you're all grown up doesn't mean you can't have fun! Since everyone loves selfies so much these days, why not give your guests something to pose with? Either use these fun printables and glue them on popsicle sticks or draw up some of your own. You can leave them by the door or set up a photo booth to encourage some silliness among all the adult conversation. More great printables for any occasion can be found here. Instead of glowing jack-o-lanterns, turn old wine bottles into ominous candelabras. 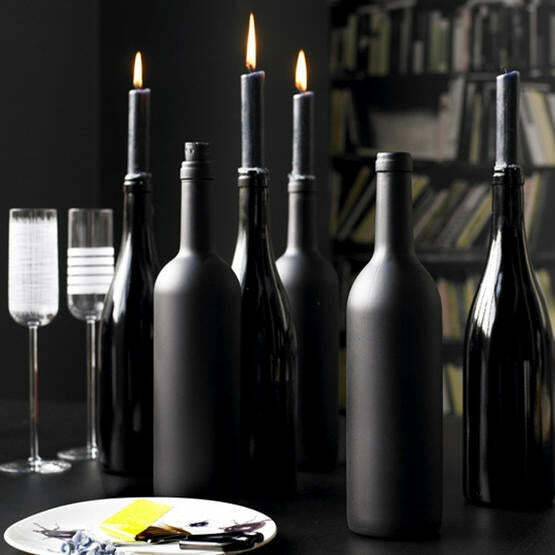 All this craft requires is a black matte paint, black candle sticks, and wine bottles. Then, you'll be good to go! Arrange them up as a grouping, line them up on the mantle, or use a few with differing heights down the center of your dining room table for a Halloween dinner party. 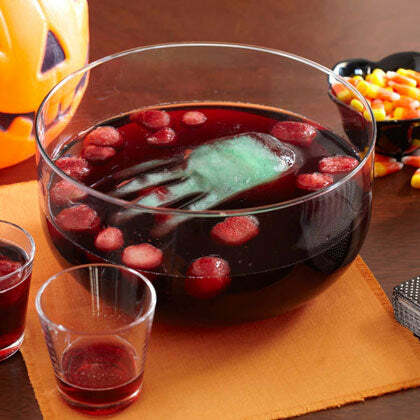 These ideas are going to set off my Halloween party in style this year. Which of these ideas do you like the best? Leave us comments! And if you have other ideas, post them below and let's build the ultimate guide to the best adult Halloween party!